MediaTek has been highly involved in the 5G standardization effort for both cellular radio and overall cellular system architecture. 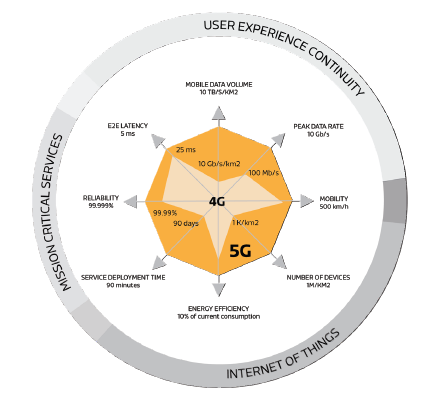 Our extensive know-how come from many 5G technology research activities in recent years, in addition to our in-depth knowledge of 4G and other wireless connectivity standards. This is affirmed by the billions of MediaTek wireless products sold, worldwide. This year we will see live trials of 5G-type systems at a number of sporting and industry events, but more importantly, in terms of the wider global population having access to 5G cellular networks, several carriers in the US, Japan, China and parts of Europe have committed to introductory 5G networks from 2019. MediaTek has been heavily investing in the development of 5G products and is committed to accelerating its adoption. Our mission is to quickly democratize 5G, and we will bring the technology to the mid-tier market from day one. This is in contrast to the usual premium-first approach others in the industry take. This directive has already been endorsed by global operator partners and MediaTek has already successfully completed many interoperability tests as part of our development process. Our mutual commitment ensures a better network utilization from the start, faster ROI and quicker deployments. ‘5G’ is actually three types of connectivity: eMBB (enhanced Mobile BroadBand), URLLC (Ultra Reliable Low Latency Communications) and mMTC (massive Machine Type Communications), rolled together in a single generation. Products created will balance these technologies by opting to pull-in from each pool to meet their precise needs. mMTC is covered by low power wide area (LPWA) technologies, such as NB-IoT. Here MediaTek already has the MT2621 and MT2625 chipsets available. For products such as smartphones and tablets (although certainly not limited to), the initial industry focus is on eMBB development – pushing the boundaries of throughput to multi-Gigabit data connections. Later, ultra-reliable low latency connections (URLLC) will offer new, compelling use cases that will spur its adoption in the coming years. To learn more, MediaTek has produced both an 'in brief guide to 5G standards' as well as a full 5G whitepaper that summarizes the crucial information regarding 5G NR concepts and the enhancements towards existing systems available today.